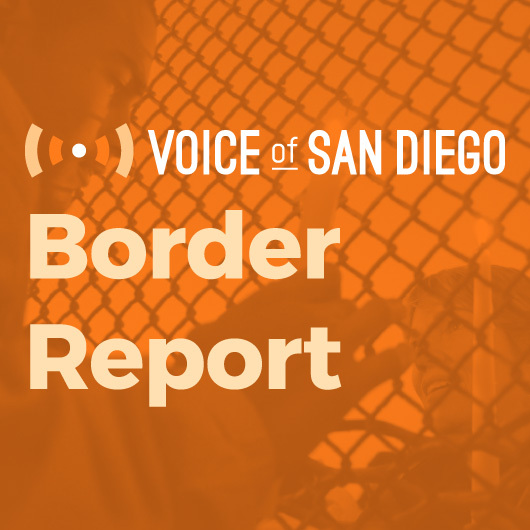 The federal government is not likely to reimburse San Diego for security near the border wall prototypes, President Donald Trump could make an appearance later this month, and more in our biweekly roundup of news from the border. The Trump administration seems to be moving forward on its promise to build and improve the physical barrier between the United States and Mexico. On Friday, U.S. Customs and Border Protection requested $18 billion over the next decade for 316 miles of new fencing and to reinforce 407 miles of fencing already in place, according to the Washington Post. 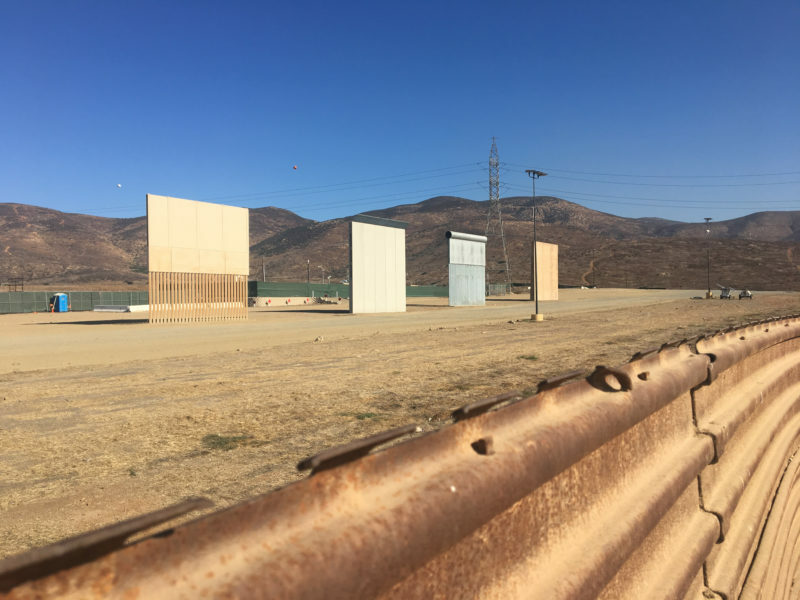 The Department of Homeland Security issued a waiver in August, absolving it from environmental rules that stretch 15 miles inland from the Pacific Ocean for border wall constructions, repairs and replacements. About 48 miles of fencing already exist in San Diego County, the oldest portions of which date back to the 1960s. Most of the fence construction across the country happened after 1990, with Operation Gatekeeper in California under President Bill Clinton, and then the Secure Fences Act of 2006 under President George W. Bush. Fun fact: some of the early fencing was made from old helicopter landing pads from the Vietnam War. Only about a mile of Homeland Security’s waiver area — around the Otay Mountain Wilderness — is lacking fencing right now. The thirteen miles between the Pacific Ocean and the county’s eastern boundary have both primary and secondary fencing. The easternmost reaches of this portion of the fence, where the prototypes were built, only have primary fencing. You can see the fencing for yourself on an inewsource and KPBS map. Border crossings are increasingly occurring in those areas without primary fencing, which are easier to hop and cut through. In October 2016, Border Patrol reallocated its resources and personnel to focus on the Otay Mountain area. Three months later, the agency announced that its officers had arrested more than 1,000 individuals illegally crossing there. 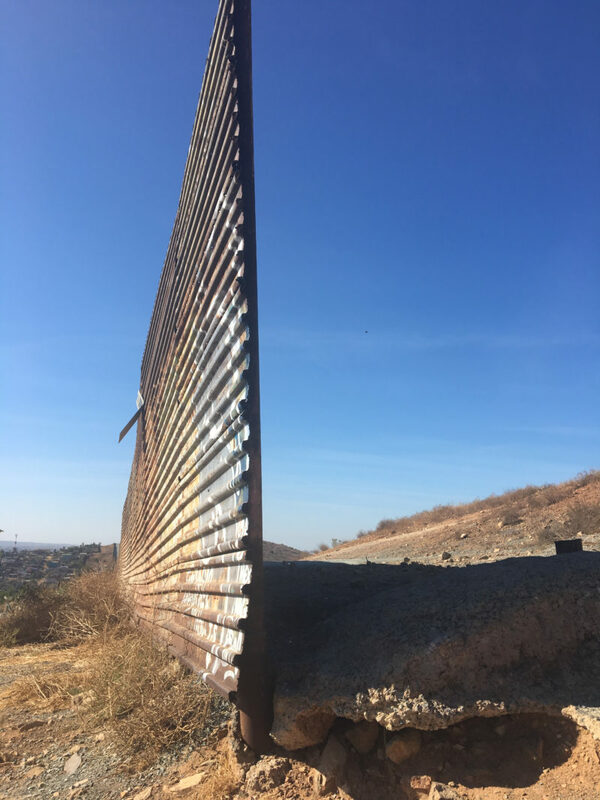 Before the holidays, I decided to spend some time getting to know the area that the federal government laid out in the waiver, so environmental activist and photographer Jill Marie Holslin, who lives in Tijuana, took me hiking along the Mexican side of the fence. I was particularly interested in the area with less fencing or no fencing at all, beginning with the prototypes near Otay Mountain. There are only so many places on the San Diego side where people can directly access the fence and even then, they’re monitored by Border Patrol. That includes Friendship Park. In Tijuana, on the other hand, some of the city’s neighborhoods rest right along the fence. After starting at the prototypes, we ended up in a part of eastern Tijuana, in a mixed-use industrial and poorer residential area. It’s become a make-shift landfill, with not only garbage from households — like thrown-out elementary school homework — but burnt-up, abandoned vehicles. This area is actually one of the most common places for asylum seekers to hop because the primary fencing is only about 7 feet high. We didn’t stick around long enough to catch anyone hopping the fence, but evidence of the pathway was all over. 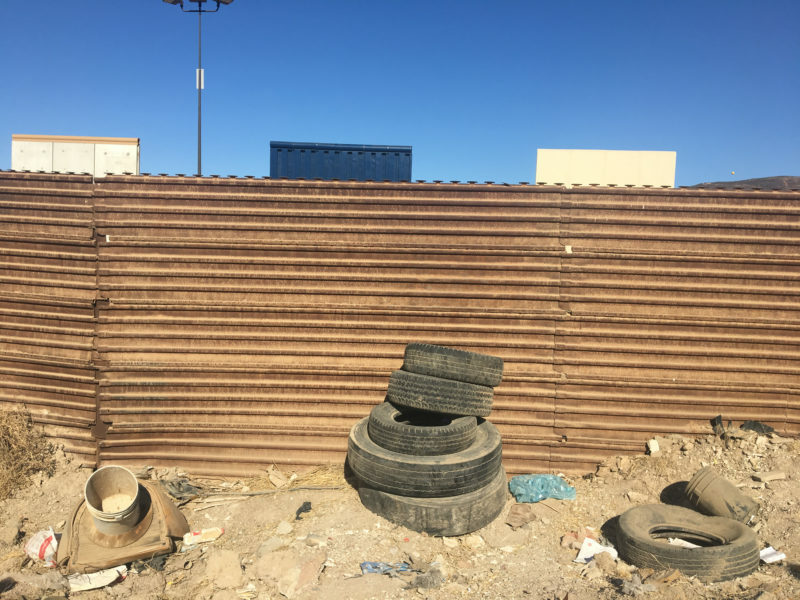 There were several tires stacked up for people to climb and torn-up Mexican migration papers scattered all along the fence. Interestingly, though the highest number of asylum seekers the U.S. sees at its borders are from Central America, nearly all of the migration papers and flight ticket stubs from Mexico City to Tijuana that we found were from Nepal and India. I also visited the portion of the waiver zone that’s missing about a mile of fence. 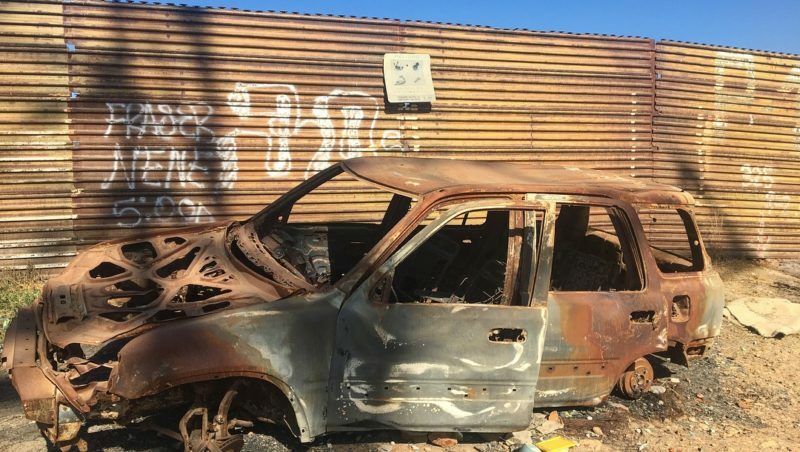 It’s right behind a low-income neighborhood in East Tijuana called Nido de las Aguilas. Two things struck me about where the fence ended. The first was the rough, mountainous terrain. I’m not yet sure why the fence wasn’t extended further, because it restarts about a mile down. But I can see how building infrastructure there would be challenging. The second was that standing at the border, without a fence or a wall, it is impossible to tell where Mexico ends and where the U.S. begins. • I wrote about some of the changes we’ll see and what uncertainties remain as SB 54 — California’s attempt to separate local law enforcement from federal immigration enforcement — goes into effect in San Diego.